Taylor Swift keeps a beat on the treadmill. Michael B. Jordan workouts included 45-60 minutes of cardio, boxing training, and an intense regimen of sit-ups, push-ups, squats, and other exercises, according to Men's Journal. And Ben Affleck followed a muscle-building, fat-burning workout for "Batman." When it comes to working out, everyone has their favorite method, including celebrities. However, to the average person, you may not have the personal coach for targeted training to loss weight or muscle building. A more convenient way - following the best workout DVDs is heavily favored for everyman. But do you know what is the best bodybuilding DVD for you? No worries, here we listed the best workout DVDs for weight loss, muscle building, strength training, shaping etc. MacX DVD Ripper Pro - rip workout DVDs, 99-title DVDs, Beachbody DVDs, etc on Mac (macOS Mojave) to MP4, H264, MOV, FLV, MPEG4, iPhone Xs/XR, iPhone X/8, iPad Air 2/Mini 4/Pro more by removing DVD CSS, region code, RCE, Sony ArccOS, Disney, etc. No.1 fast speed and untouched DVD quality. At the mention of doing exercise, going to the gym comes to the first choice. But how many times have you gone after coming into terms with a gym membership? Barely. Afterwards you realized that poping in workout DVD programs is basically like being in both fitness class and a one-in-one personal training session at the same time. Moreover, you can even get rental DVDs from blockbuster, Netflix, Redbox etc. with very little cost. Here are my picks for the 6 best workout DVDs that will get you slim, toned and in shape. What is it: This is a truly insane 45-minute ab workout-packed into less than 15 minutes. Shaun's on a mission to maximize your results with furious moves and faster than ever. And he's not gonna stop until you're there. 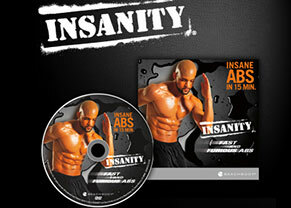 Straight from INSANITY, Shaun takes you through his favorite cardio ab and core drills. Now he pushes you as hard as you can go, teaching you how to build up speed while maintaining your control on every move. Testers' take: Its been some time since I completed Insanity but instead of a 45-50 minute workout this DVD boils it down to 15 minutes! All your favorite moves are in this workout. I was panting and sweating out the gate! What is it: 21 DAY FIX EXTREME® is get ready for a fun, fast-moving body weight best fitness DVD! The Fix Challenge features a variety of high-intensity moves that keep you on your toes, and keep the calories burning. Testers' take: A 21-day program that not only focuses on clean eating and portion control, but high powered DVD-based workouts for women as well. Each workout takes only 30 minutes and you can do them at home, so no worries about making time for lengthy gym visits or two-hour runs! 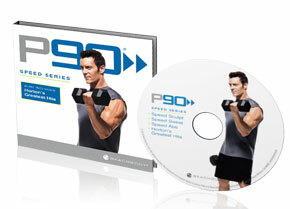 What is it: P90X is not just a workout DVD program, it's a total challenge! For 90 days you will follow a strict workout schedule and a meal plan. You will first choose a version between classic (more muscular), lean (more cardio) and doubles (2 workouts a day). Testers' take: I personally chose the classic one. And this best exercise DVD of classic are very tense with videos between 1h and 1h30 each. You will do plyometrics, pull-ups, push-ups, squats, sit-ups, kenpo, yoga and stretching. What is it: A strong, flexible core underpins almost everything you do in your workout. If you want to enhance your balance, improve your stability, and crank up your fat-burning intensity, all you have to do is load up Core Speed and Push Play! Teaster' take: This is a great fitness workout DVD for beginners I am in week 4 of t 25 and I have lost 11 pounds already! I am 5 pounds from my pre pregnancy weight! And I don't plan on stopping there! This is the first work out I have been able to stick with and not give up. It's ONLY 25 minutes, u can do it!! What is it: The 10-Minute Trainer workout DVD program will help annihilate body fat by working your upper body, lower body, and core from every possible angle-plus cardio-all at the same time! That gets you big-time results, doing a serious 10-minute workout. 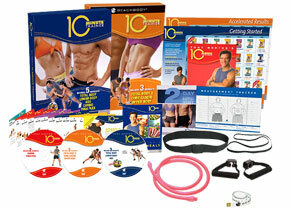 Testers' take: Starting today, you can get in the best shape of your life, following the best cardio workout DVD! I've been able to maintain my fitness and stay healthy without it taking over my life. Because it's only a 10-minute workout! What is it: TurboFire is the intense 90-day best cardio workout DVD program that will help you get leaner with exercises that burn up to 9x more fat and calories than regular cardio. To help you get up to speed, TurboFire also includes two low-impact (but intense) workouts. Then, it will keep you moving with more than 20 smoking-hot music remixes through all 12 fat-sizzling classes. Testers' take: Let me start off by saying, I'm one of those people who normally aren't consistent with workouts because I find them boring.. Well, TurboFire provided great music and the workout was so much fun. I went from a size 14 in women to a size 6 and lost over 20 lbs. It's a must have! * The ripped DVD video only has several KB. * The ripping process starts up but stalls and the whole program crashes. * Able to backup discs 1, 2, and the bonus DVDs but not disc 3 failed unexpectedly. * Can't find the right title since there are 99 titles. Frankly, all of best workout DVD are copy-protected by all sorts of DVD copy protection which can make ordinary DVD ripper crash. To solve those not working issues, users can turn to a full-featured DVD ripper for Mac. * Rip any encrypted Beachbody DVD, workout DVDs, fitness DVDs, yoga meditation DVDs, 99-title DVDs, Japanese DVDs, new DVD movies, etc to MP4, MOV, FLV, AVI etc. of SD, 720p/1080p HD, UHD by removing almost all kinds of DVD protections, such as CSS, RCE, ARccOS, Disney X-project encryption, CPRM etc. * Copy exercise DVDs with No.1 fast speed (2x faster than competitors). * Directly convert DVD to iPhone Xs/XR/X/8/7/6s/6/Plus, iPad Pro/mini 4, Galaxy S9/Note 9, Apple TV 4 etc 420+ devices. Free download the top DVD copy software and launch it on your Mac. (Windows version is available as well.) Insert your workout DVD to DVD driver and click "+" button to import it. Select the output format as you wish. Ripping fitness DVDs to MP4 is highly recommended for its wide compatibility of iPhone iPad Android or TV. Click "Browse" button in output setting area and select a destination folder to save your ripped exercise DVD. Click "RUN" to start the workout DVD conversion. After a short time waiting, you are able to put your workout DVD programs to iPhone iPad Apple TV etc. Notice: You're encouraged to use this DVD ripper to copy workout DVDs only for legal personal use, instead of illegal reproduction or distribution of copyrighted content. Please abide by your local DVD copyright law before doing it. DO NOT do harm to others' lawful rights and interests. The above DVD ripping guide also can be used to rip best yoga DVDs. After DVD ripping is finished on Mac, you can also choose to transfer workout DVD video to iPhone iPad iPod iOS 10 devices to watch when you are in a place with no Wi-Fi. And the cutting-edge MacX MediaTrans, super star product from Digiarty, is able to transfer DVD video, movie, music, photos, ringtones, eBooks, etc. from Mac to iPhone, iPad Pro, iPod Touch, etc. with fastest speed (5X faster than any other iPhone transfer tool) and no video incomparability issue (auto-video conversion feature). How to Free Download Gym Workout Videos in MP4 HD, 3GP etc. Going to the gym seems not for everyone especially the busy bees, while getting gym workout videos download to exercise at home heads to the opposite. Here shares the best way to free download fitness workout videos in MP4, MOV, AVI, FLV etc. for playback on iPhone iPad Android, so that you can loss weight, get bodybuilding/shaping and so on. Follow the yoga video download guide to download free online yoga video & classes of power, shilpa shetty, baba ramdev, bikram, jidenna, Hindi, MP4 3GP HD all styles. Can't rip Sony DVD? Here, you will learn how to use the best DVD ripper to fix bad sector error and rip Sony ARccOS copy-protected DVDs or other protected DVDs to MP4, AVI, FLV, MOV, etc for playback without limits. MacX DVD Ripper Pro lets you super fast rip and copy workout DVD video to digital MP4, MOV, MKV, AVI, MPEG-2, etc. formats so as to play fitness DVD on Mac, iPhone iPad, Android, Microsoft, etc. with no problem. High Quality Engine and De-interlacing give you 1:1 lossless quality and original audio.